The All Africa Music Awards, AFRIMA 2016 is officially open for entries from Artistes, Songwriters, Music/Entertainment Journalists, Video Directors, Music Producers, DJs, Dancers from across the African continent and Diaspora. The AFRIMA awards is celebrating excellence in musical artistry in Africa and the Diaspora, featuring 33 categories across the five regions of Africa and music genre, with a reward of 23.9 carat gold AFRIMA plated trophy. Entries open from May 20, 2015 and closes on July 30, 2016. Works to be submitted must be produced in the year under review i.e. May 20, 2015 to July 30, 2016. Artiste may submit works in one or more categories of their choice in the 33 categories of the award. Return of Submitted CDs/DVDs: It is strongly encouraged that you only send materials via online but if you do wish to send materials you do not wish to have returned, it's convenient and easier for all involved. Please do not send masters, originals or your only copy, etc. These will not be returned. AFRIMA will not accept responsibility for lost or damaged tapes. Any falsification of information about the artistic work or the artiste/ producer/ director/ journalist/ songwriter renders the entry null and void. If a song/writing/video promotes violence or substance abuse, it cannot be entered for the award. CONSENT: Any work submitted by an artiste or a representative has automatically communicated consent, agreement and granted authorization to the All Africa Music Awards, AFRIMA to use the artiste’s image, video, music, sound, beat and biography for promotion of the Artiste and AFRIMA Awards on Television, Print, Radio, Online and social media platforms. The AFRIMA Jury Academy of Voters reserves the right to disqualify any work that fails to adhere to the guidelines and rules of submission. If links do not allow you the complete submissions, then use these Google forms below. Video - M.anifest Feat. Bisa Kdei - "W'ani Aba"
Ghanaian Hip-Hop artist M.anifest has released an afro-futuristic music video for his song "W'ani Aba" (loosely translated phrase which means "you are jealous or envious"), which features in-form Highlife crooner Bisa Kdei. The video directed by frequent M.anifest collaborator, Garth Von Glehn, fuses compelling scenery of Jamestown and Madina neighborhoods of Accra with transcendent otherworldly locations to create a fine piece of art. M.anifest assumes the role of a flamboyant and eclectic inventor whose unique eyewear he offers to people he encounters enables them to experience visions of a distant World. Bisa Kdei is featured as a larger than life figure who exists in the cosmos with folks only seeing him when they wear the specially invented sunglasses. The director, Garth Von Glehn does an incredible job of merging the two worlds seamlessly. 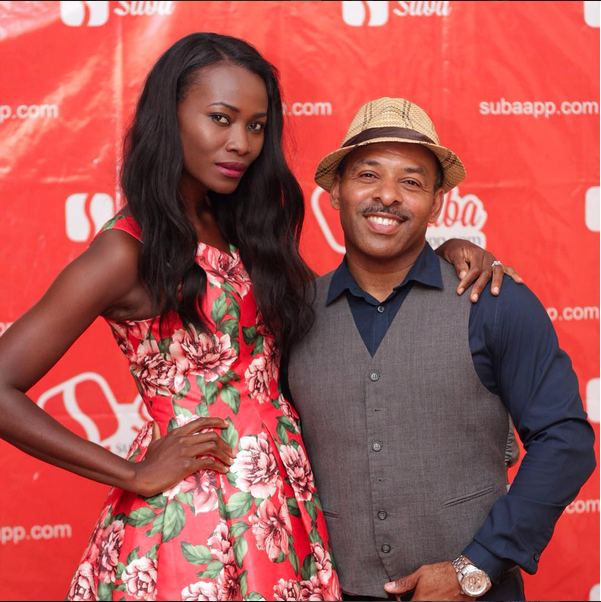 The track was produced by Kwame Yeboah of the Mixstation Studio. Serge Attukwei Clottey, a fast rising contemporary Ghanaian artist and creator of 'afrogallonism', created the ten pieces of striking eyewear worn by different characters in the W'ani Aba video. The video is a strong statement of intent in M.anifest’s quest to push creative boundaries and is the latest exhibit of his originality, further cementing his position as one of the foremost contemporary artists on the African music scene. Get W'ani Aba here: http://bit.ly/waniaba © Singitdamnit Music Directed by @SolomonDirector (Flourish and Multiply) Afrofuturistic Sunglasses by Serge Attukwei Clottey Producers: Fui Tsikata (TTD Media) Mantse Aryee Quaye & (Accra.dot.alt) Assistant Director: Maya Wegerif Assistant Producer: Mawuli Tettey (Solution7) Stylist: Mawuli Fodoglo Photography: Bob Pixel Song produced by Kwame Yeboah Shot on location in Jamestown and Madina. As an agent for Temi Dollface, Here's a message I want to share from her. After 2 months of hard graft, My New Video for “School Your Face” has arrived. Yippee! And I couldn't have done it without you being in my corner. A big thank you from the bottom of my heart for the love, support and cheerleading. I not only styled this one, I produced and creative directed it, and it was SHOT and EDITED in its entirety here in Lagos. At our home and on our office/Studio grounds, might I add. So I’m particularly proud of it. Again, this is an independent effort, which means I need all the help I can get to spread the word as far and wide as possible. So would you be darlings and Oblige me again by posting the attached Artwork & or Video on your social media timelines to create some awareness telling your followers to click on my Instagram bio for video link, and sending the press release (below) to as many of your friends and contacts as you can. I would be so so thankful. 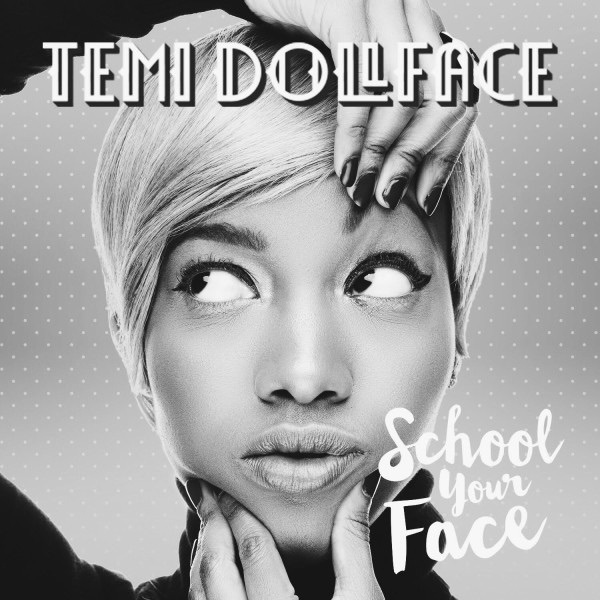 Temi Dollface - "School Your Face"
Temi DollFace Unveils “School Your Face” Music Video in celebration of Women’s History Month, International Women’s Day and in special tribute to her Grandmother!!! A humourous tale about the ancient battle between head and heart, sees Temi playing dual roles; both as the ECCENTRIC NO-NONSENSE SERGEANT Temi and a YOUNG LOVE-SMITTEN Temi, representative of a Hard/Soft duality that we women strive to attain. Temi’s Grandmother, who’s nickname is coincidentally “Sergeant Major”, is the perfect embodiment of such a woman. A Steel Magnolia! 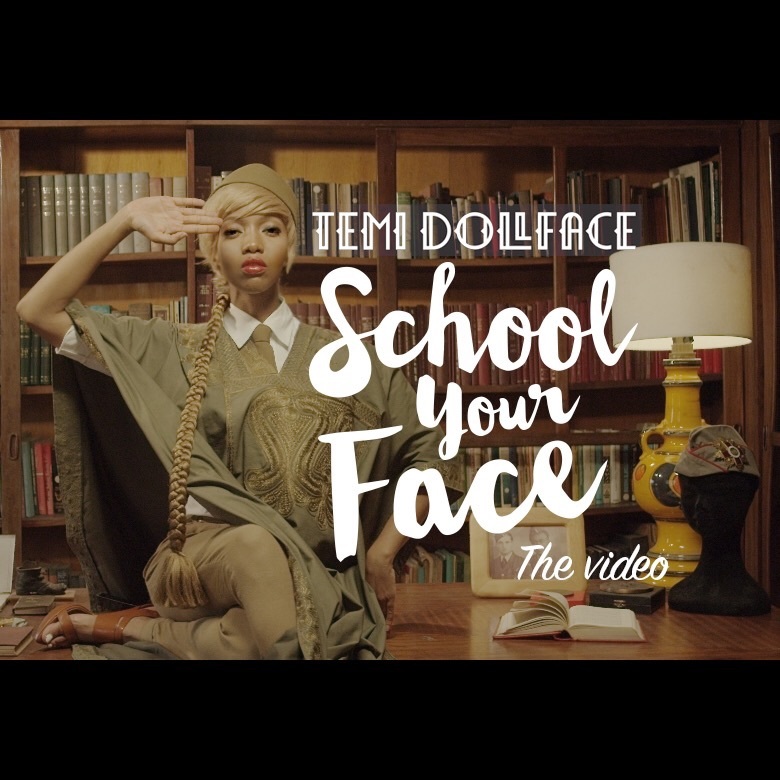 The “School Your Face” Music Video, Directed by Damola Adelaja, and Produced and Styled by Temi DollFace borrows from Art, History and Fashion but then completely embodies their references as their own original idea. The Video was shot, in it’s entirety, in Lagos and is the perfect Re-Introduction to Temi’s abundant Awe-Daciousness. 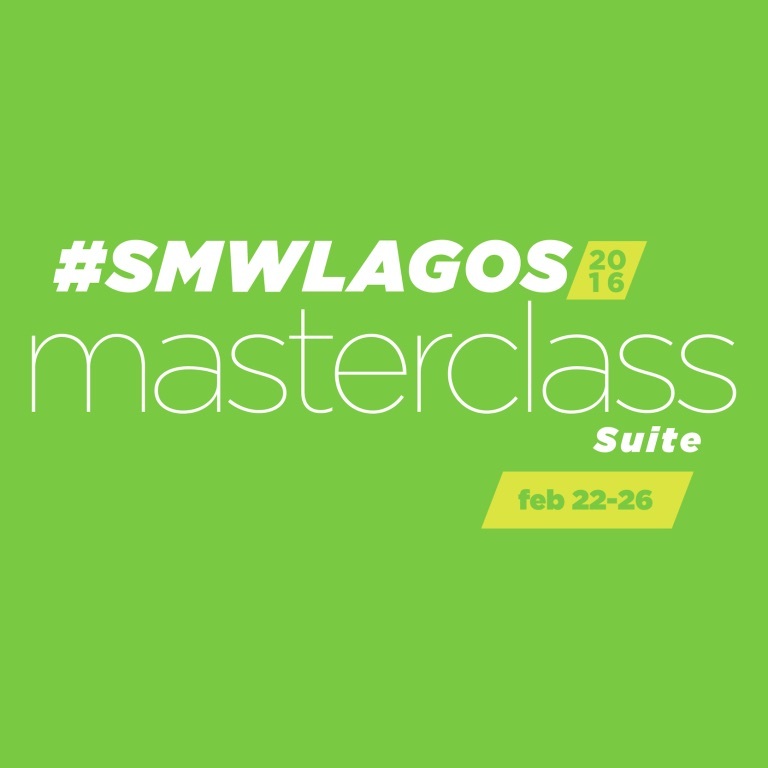 Social Media Week - Lagos: Yes! Music Business. I examine this from a music business perspective. The continent’s most vibrant and creative cosmopolitan areas have made huge pulses in music creation and culture. Much has to do with the prevalence of mobile hardware/software; the computer “in your pocket.” Platforms such as YouTube, Facebook, Twitter, Instagram, Keek, Tumblr, Google+, Vine, Soundcloud and Snapchat have aided in the definition and proliferation of Africa’s modern music styles. Attendees of How Five African Cities Defined Modern Music will learn the grassroots history of Africa’s modern music cultures, examine Western influences and unpack how social media has propelled local music forms beyond the confines of city and country. An audio and video presentation representative of each community will be included followed by an interactive Q/A. Please bookmark your seat for this masterclass at the recently-constructed Landmark Convention Center on Victotia Island in the mega city of Lagos, Nigeria. This event will not be streamed live. The nominees have been announced for the 2016 Kora All-Africa Music Awards, with the continent's best artists set to battle it out for their respective categories for Africa’s most lucrative – and arguably most prestigious – music awards. The ceremony will take place at the Windhoek Country Club in Namibia on 20 March 2016. Unlike the majority of African music awards that tend to focus on the larger music industries of Nigeria and South Africa, for example, the Kora selection panel has gone out of their way to include musicians from across the continent, meaning the musicians from smaller nations like Gabon, Equatorial Guinea, Djibouti, Eritrea and Madagascar also get their chance to compete. The Pre-Selection Comittee for Kora 2016 is made up of Kora Artistic Director Alexandre Asse, Yola Semedo (Angola), John Max (Namibia), Alain Auriant (Mauritius), Lamia Yattar (Ivory Coast) and Fabrice Oye Bekale (Gabon). The final voting begins via wireless mobile carriers on 15 January 2016. Winners from every category will go home with the coveted Kora trophies and cash prizes of US$20 000 or US$50 000, and a mammoth $1 000 000 cheque for the Best Artist of the Continent, the nominees for which have not yet been revealed. Besides the various regional categories for male and female performers, other continent-wide categories allow for a diverse mix of artists to go head to head against one another. These include categories for Spritual and Traditional music. In the ‘Best Album of the Year’ all regions of the continent are reprened, with Bebe Cool (Uganda) up against West Africans Suzana Lebrano (Cape Verde) and Tinariwen (Mali), The Soil (South Africa) and EES (Namibia) from Southern Africa, and Cameroonian rapper Jovi representing Central Africa. No southern African acts are in the running for Best African Group, which will see Bracket (Nigeria) compete against Double Bangz (Sierra Leone), Sauti Sol (Kenya), Toofan (Togo), X-Maleya (Cameroon) and Bana C4 (DRC). When it comes to the nominees for the Legendary Award, South Africa’s ‘Princess of Africa’ Yvonne Chaka Chaka (South Africa) is up against Teddy Afro (Ethiopia), Amr Diab (Egypt), Coumba Gawlo (Senegal), Werrason (DRC) and P-Square (Nigeria). For more details visit the Kora Awards website or watch the video. 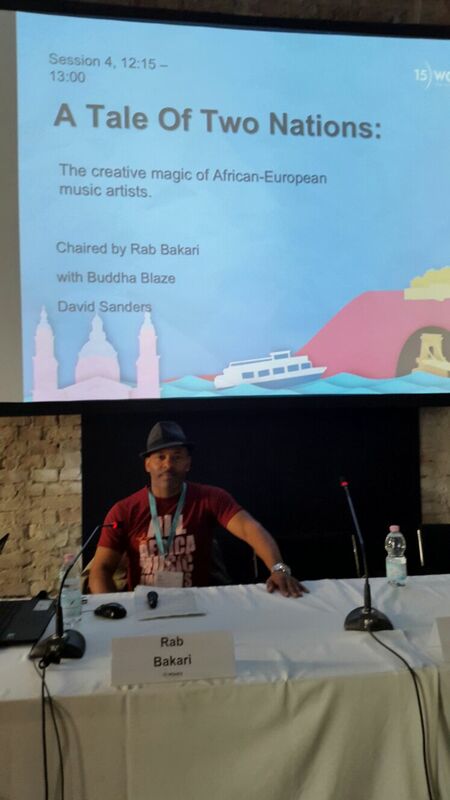 Rab Bakari hosted a panel along with panelist David Sander (Mandala TV Prod./Coke Studio Africa) and Buddha Blaze Mbasu (Spark Africa) on Thursday, 22 October 2015 in the Cosmopolitan city of Budapest, Hungary. The creative magic of African-European music artists. In recent years, a new generation of exciting creative musicians has been emerging from across Africa. Some are based on the continent, some in Europe and North America. They are socially networked artists, just as comfortable in the tough neighborhoods of Africa's biggest cities as they are performing at hip nightclubs in London or European music festivals. They blend hip-hop, house, reggae and rock with various local musical traditions from around Africa. This panel aims to provide a background on the rising new wave of artists representing the heritages of both parents from different continents or claiming both nationalities in their music. Here is the final list for all 33 categories of the AFRIMA 2015 All Africa Music Awards to be held in Lagos, Nigeria 15 November 2015. Betty Akna - "Africa United"
Charlotte Dipanda - "Elle N'a Pas Vu"
Laurette La Perle - "Twist"
Mani Bella - "Face à Face"
Junior Enyango - "Belle Mère"
Numerica Feat. Bana C4 - "Kossa Moi Ça"
Stanley Enow & DJ Neptune - "King Kong"
Alsarah & The Nubatones - "Habibi Taal"
Helen Berhe - " Gumema Bet"
Lilian Mbabazi - " Simple Girl"
Diamond Platumz Feat. Khadija Kopa - "Nasema Nawe"
Jose Chameleone - "Wale Wale"
Kidum & Boda Boda Band - "Ihorere"
Teddy Afro - "Korkuma Africa"
Cheba Sabrine - "Oublie Moi"
Souad Massi - "El Boulbouli"
Ahmed Soultan & Wiyaala - "This Is Who I Am"
Don Bigg - "Ghadi Bellour"
Monsif Jilali - "Bki ya L'ayne"
Anna Joyce - "Já Não Combina"
Busiswa Feat. DJ Buckz + Uhuru - "Lahla"
Cindy Munyavi - "Kutsvaga Mari"
Beatenberg - "Beauty Like a Tightened Bow"
Cassper Nyovest Feat. DJ Drama + Anatii - "Ghetto"
DJ Malvado Feat. The Groove + Equipe Explosão - "Toca Ninguém Se Mexe"
Djeff Afrozila Feat. Yuri Da Cunha & BzB - "Ser Kazakuta"
Jeremy Loops feat. Motheo Moleko - "Down South"
KO - "Son of A Gun"
Niyola - "Last Bus Stop"
Ruby Gyang - "Good Man"
Davido Feat. Meek Mill - "Fans Mi"
Sarkodie Feat. Castro - "Adonai (remix)"
Dark Suburb - "Jump Off A Cliff"
Sauti Sol - "Sura Yako"
The Soil feat. Khuli Chana - "Susan"
Davido + Uhuru + DJ Buckz - "The Sound"
AKA + Burna Boy + Da Les + Jr - "All Eyes On Me"
Dibi Dobo + Angelique Kidjo - "Ekomole"
J Martins + Yousoou N'Dour - "Time Is Now"
Ladysmith Black Mambazo + Salif Keita - "United We Stand"
Waje, Victoria Kimanai, Vanessa Mdee, Arielle T, Gabriela, Yemi Alade, Selmor, Mtukudzi, Judith Sephuma, Blessing Nwafor, Omotola Jalade Ekeinde - "Strong Girl"
Sauti Sol + Amosh & Josh - "Nerea"
Toofan + DJ Arafat - "Apero"
Yemi Alade + Dil - "Temperature"
Blade Deep feat. Delura & Liez - "Perfectly"
Boddhi Satva feat. Kaysha - "Mama Kosa"
Flavour - "Power To Win"
Gazza Feat. Uhuru + DJ Buckz - "Shuna"
Edem Feat. Sway- "The One (Remix)"
Stanley Enow - "King Kong"
NG Bling - "Parle a ma Main"
Kiff No Beat - "Ça gate coeur"
Meezo L Fadly - "M'Woppy"
Ycee - "Condo Feat. Patoranking"
Erick Kristal - "Ile Ife Africa"
Nneka - "My Love, My Love"
Stonebwoy - "Pull Up (Remix) Feat. Patoranking"
Gangbe Brass Band - "Yoruba"
Irene Namatovu - "Okuzaala Kujagaana"
Bebe Cool - "Love You Everyday"
Dark Suburb - "I Dey Feel You Die"
Lulu & The Zakaleo Band - "Thembassa"
Becky Joe - "How Great"
Lab'l - "Ma Ve Wa Ngan"
MoniQue - "Na You Dey Reign"
Darey - "Pray for me"
Prince Eyango - "Merci Seigneur"
Timi Dakolo - "Wish Me Well"
Stanley Adjetey for Wiyaala - "Africa"
John Njaga Demps + Unlimited LA for J Martins & Youssou N'Dour - "Time Is Now"
Enos Olik for Sauti Sol - "Sura Yako"
Clarence Peters for Flavour - "Golibe"
Gyo Gyimah - Edem Feat. Sway - "The One"
Clarence Peters for P-Square - "Shekini"
H_Art the Band - "Uliza Kiatu"
Davido Feat Meek Mill - "Fans Mi"
Diamond Platnumz Feat Kadija Kopa - "Nasema Nawe"
Dr. Jose Chameleone - "Wale Wale"
Joy Gitau - "Are You Gonna Love Me?" Danny Kalima - "Dusty City"
Praiz - "If I Fall"
The Soil Feat. Khuli Channa - "Susan"
Abdullah Ibrahim - "The Song Is My Story"
Abel Mulugeta - "Leb Barbamet"
Recipients of the AFRIMA Legendary Award and the Africa Entertainment/Music Journalist Award will be decided by the International Committee of AFRIMA and revealed at the main awards ceremony on Sunday, November 15 while album, songwriter and producer of the year will be wholly decided by the academy. AFRIMA, in partnership with African Union Commission, AUC, announced the nominees for the 2015 edition of the All Africa Music Awards (AFRIMA) at an international media conference which took place on Friday, August 14, 2015 at Victoria Crown Plaza Hotel, Victoria Island, Lagos, Nigeria. Nominees are contending for the coveted AFRIMA 23.9 karat gold-plated trophy in 33 categories divided into the regional and continental categories and including the AFRIMA Legend Award and music/entertainment journalist of the year award. Jury members and AFRIMA International Committee were present to unveil the nominees after a rigorous six day screening exercise which started on Sunday, August 9 and ended on Friday, August 14 which Rab Bakari participated in. Also present at the conference were media practitioners, artistes’ managers, label owners, artistes and other stakeholders who were all excited and expectant as the nominees were being announced. Giving insight into the criteria by which the nominees list was reached, AFRIMA juror and BBC Radio 3 presenter, Rita Ray explained that the jury panel adhered strictly to the entry submission requirements while being guided by AFRIMA’s core values of FACE IT –Fairness, Authenticity, Creativity, Excellence, Integrity and Transparency. The voting process began on the Friday, August 21, 2015 and also said the AFRIMA voting online platform will open for an 11 week voting process, while encouraging the public, fans and followers of African music to visit the AFRIMA website, www.afrima.org, to view the nominees in the 29 (open for public voting) categories of the award and vote for their favourite artiste (s). Revealing programmes of AFRIMA 2015 event, the President/Executive Producer of AFRIMA, Mike Dada said: “Recipients of the AFRIMA Legendary Award and the Africa Entertainment/Music Journalist Award will be decided by the International Committee of AFRIMA and revealed at the main awards ceremony on Sunday, November 15 while songwriter and producer of the year will be wholly decided by the academy. AFRIMA 2015 will be held in Nigeria to be broadcast to 84 countries on 109 television stations across the world with the support of its media partners on 15 November 2015. My panel has been accepted into the first phase for the Music part of SXSW 2016! I need your assistance to turn up the heat! We need you to cast your "green thumbs up” vote and leave a comment. You MUST register (free) with a valid email address and password. You may have a login already on the site. Click “forgot password” to confirm. How five cities propelled modern African music. Africa as a continent is often misinterpreted. Many people outside of it fail to realize that it has vibrant and creative urban cosmopolitan areas. How did Accra, Lagos, Nairobi, Luanda & Pretoria/Johannesburg set the template for modern African music? These metro areas are making huge ripples in music creation and style movements associated with various music types. Natural ethnic languages or borrowed European languages are not a barrier for proper introduction to these influential cities to the attendees of SXSW 2016. The innovative sounds + visuals propelled by YouTube, Channel O, BET Int'l, Trace, Sound City and MTV Base along with their respective annual awards ceremonies up the competition and exposure. What are some examples of the musical styles from these five African metro areas? How and where can this music be heard, seen, read about and appreciated in North America by SXSW attendees? SHARE that LINK above on FB and other social networks. We go hard + higher! SXSW Music Conference (USA) is an event held every March in Austin, Texas, the SXSW Music and Media Conference aims to educate and inspire musicians and those who work with them. Whether you're a grizzled music biz vet or a wide-eyed newbie, you'll find great discussions and unique opportunities to meet people who can help advance your ambitions. The next one is 15-19 March 2016. 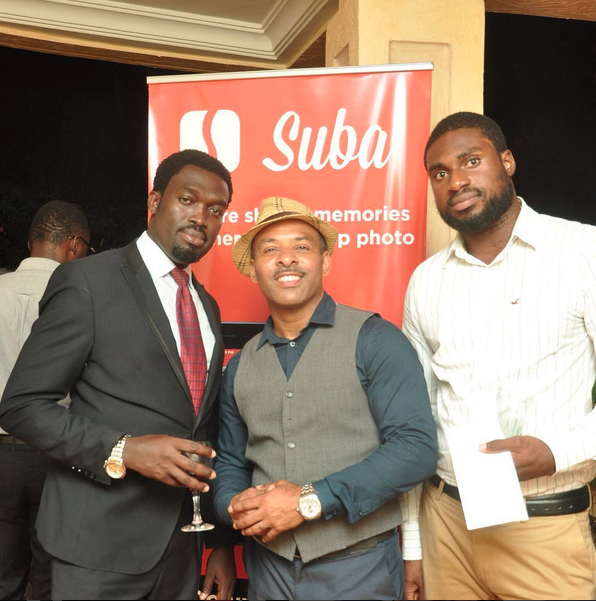 Suba Photo App entertainer collaboration was launched in Accra for public use with the mighty weight of Ghana /African music celebrity Reggie Rockstone exclusively vested. 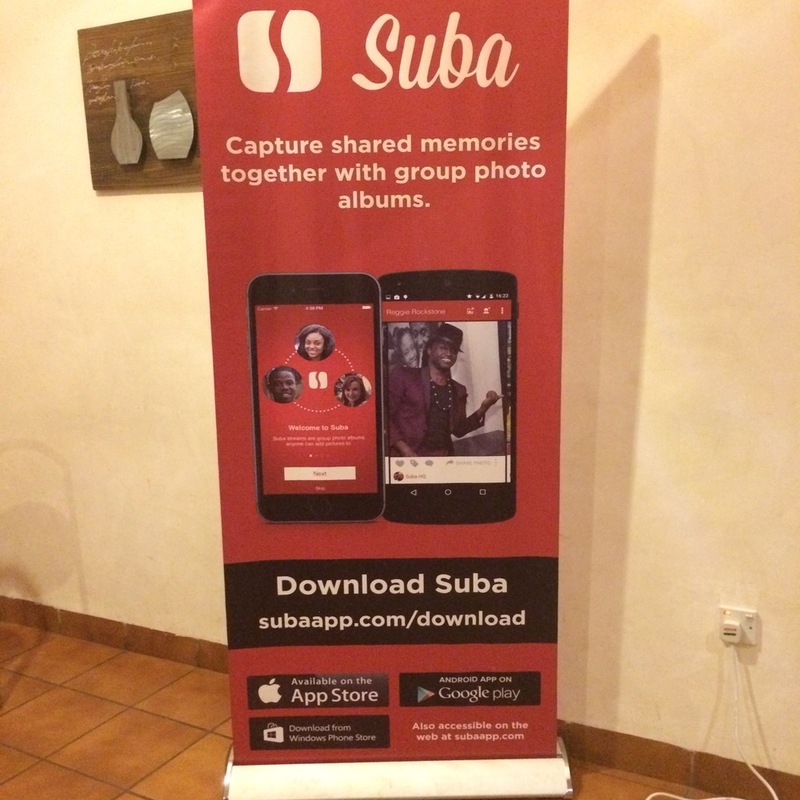 Suba is an events, location-based, central photo stream app for the iOS + Android mobile platforms. This allows a curation of images from many sources at the same event to exist in one stream. The key developers are Ghanaians based in the cosmopolitan city of Accra. Nelson Klutse and Eric Hackman. Nelson and Eric are recipient students of MEST (The Meltwater Entrepreneurial School of Technology) campus in Accra. They participated in the MEST incubator program with ample mentorship from Business Development fellow Muhammida el Muhajir. MEST offers aspiring African entrepreneurs a fully sponsored twelve month, intensive full-time program. 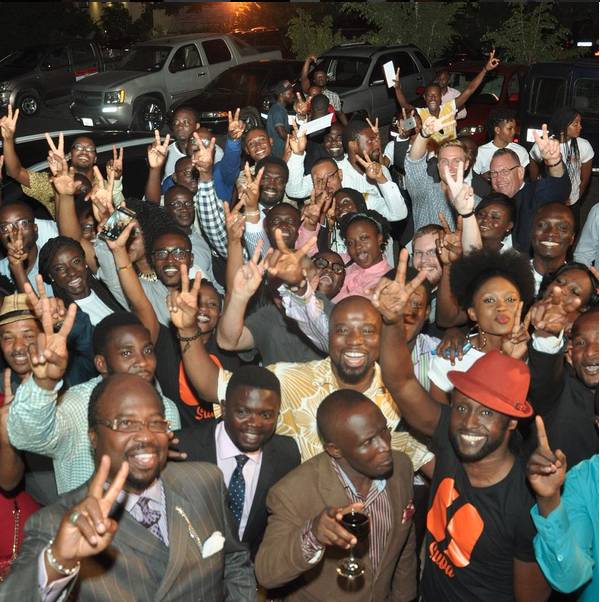 Sourced from top graduates in Ghana and Nigeria, 30 of these Entrepreneurs-In-Training (EITs) are selected each year and receive comprehensive training across the spectrum of skills required to build successful tech businesses, including computer programming, software development, product management, finance, marketing, sales and leadership best practices. After completion of the program, the EITs have the opportunity to pitch a concept. Winning teams receive a seed round from the MEST incubator to pursue their idea. Nelson and Eric hit it big with Meltwater. They needed a marketing plan. The tech stuff was largely completed and primed. Since the entire concept of their app was based upon social use amongst strangers, they needed an influential entity or person that had the reach on thousands of test subjects. 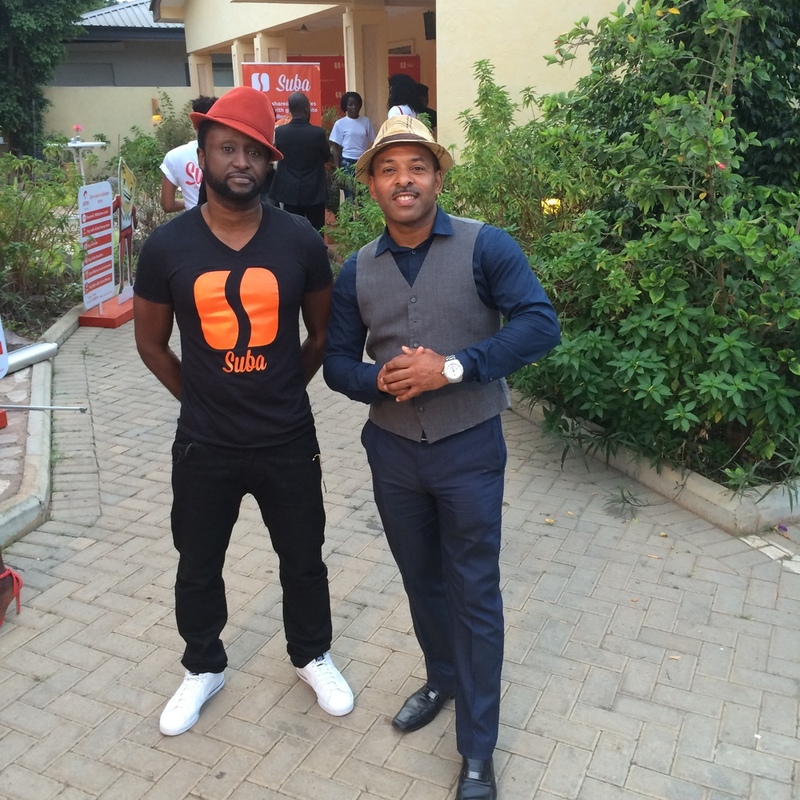 They settled on Reggie Rockstone for a number of reasons. Mostly because, he creates specific events, or is an integral part of major events in Ghana and across the African continent. 128,000 Instagram followers; 267,000 Twitter followers, hundreds of thousands that subscribe to his Ghana mobile telecom Instavoice messages and a combined Facebook profile/pages around 62,000 of Reggie is the one who can spark the convergence of the thousand of images #hashtagged on various platforms like Instagram, Facebook, Twitter and SnapChat. Although Reggie did invest some monetary capital, the jewel lies in his ability to drum up early adapters and users weekly. Apps like these need to become a universe of it's own to gain acceptance and recognition. The event was well-attended by other start-up members of MEST, business people, TV, radio and print journalist as well as tech, lifestyle and angel investor bloggers from Ghana, Nigeria, South Africa and Kenya. All Africa Music Awards, AFRIMA, in partnership with the Africa Union Commission, AUC, have opened submission of entries for this year’s edition of the continental awards on Monday, May 18, 2015. Music professionals of African origin including artistes, songwriters, video directors, music/entertainment journalists and music producers resident on the continent or abroad are eligible to enter in any of the 33 award categories and entry submission closes on Monday, July 20, 2015. Works to be submitted must be produced/released in the year under review –May 31, 2014 to July 20, 2015. Format of submission: Detailed information about eligibility and format of submission is available on www.afrima.org. Entries should be done by completing the registration form on AFRIMA website while a URL link of the music work on YouTube, SoundCloud, MySpace and other compatible platforms must be included in the space provided on the entry registration form. For hard copy entries, download the registration form and the completed copy alongside two copies of the entry must be sent to the nearest physical address provided on the AFRIMA website. The dates for entry submission and closing were recently announced by the AFRIMA President/Executive Producer, Mr. Mike Dada during the AUC-AFRIMA Joint Conference held on April 29, 2015 at the African Union Headquarters, Addis Ababa, Ethiopia. The conference witnessed by international media, select African musicsuper stars, members of the international committee of AFRIMA and senior AUC officials, also served as a forum for unveiling the AFRIMA 2015 event calendar by the AUC Commissioner of Social Affairs, His Excellency, Dr. Mustapha S. Kaloko who formally declared the 2015 activities of AFRIMA open. “Last year, many artistes contacted AFRIMA Regional Directors and Country Directors complaining that they were not nominated. 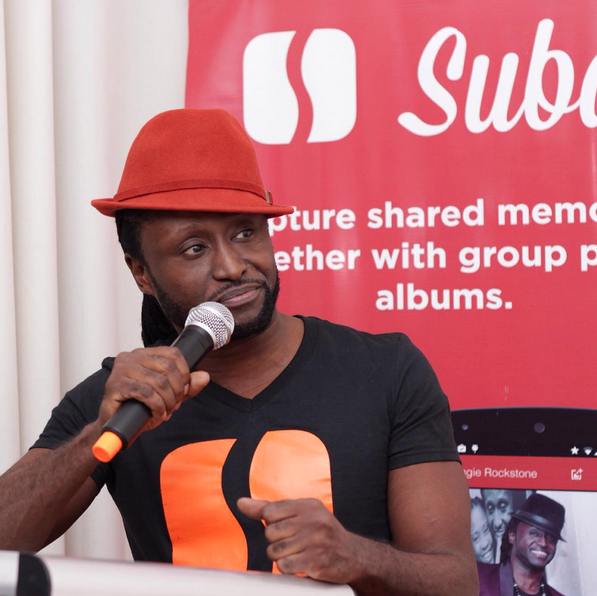 The reality is if an artiste does not submit his or her work during the entry submission window, then he or she misses the opportunity to have the music work considered or even nominated for its merit by the AFRIMA jury”, Dada said. L-R: Ahmed Soultan (Morocco) Winner Best Male Artist in North Africa, Tsedenia (Ethiopia) nominee Best African Contemporary ommissioner for Social Affairs, African Union Commission, Dr. Mustapha Sidiki Kaloko; Best Female Artiste in Southern Africa, Cindy Munyavi (Zimbabwe), Winner, 2014 Album of the Year, Olamide, (Nigeria) and Laurette La Perle (DRC) during the AUC-AFRIMA joint conference held at the African Union Secretariat, Addis Ababa, Ethiopia on April 29, 2015. Video - M.anifest - "Forget Dem"
M.anifest continues the lyrical and visual creativity path. This time with "Forget Dem'. The Cape Town, South Africa ice cream café and barbershop role comes off very naturally for this gifted emcee. Assistant Director: Jonas Stark. Cinematography/Camera: Karl Schmidt. Female interest in the video storyline: Ghanaian Africa's Next Top Model, Roselyn Ashkar. Who is the South African mate that stars along with M.anifest for the majority of the music video? Video - Kobi Onyame - "Imminence"
This guy keeps the juices going. It's always refreshing to hear material out of the United Kingdom that combines hints of other cultures. In this case veteran British emcee by way of Ghana, Scotland and England Kobi Onyame drops us a melodic one called "Imminence (Only Matter of Time O)". Defined as "Something that is imminent or impending".. Check the beach and Black Star/Independence Square visuals from Ghana throughout the video setting the tone/taste for the lyrical delivery. As usual, Blitz The Ambassador (Ghana - USA) gets it right with this retro-visage of 1950s Highlife Accra. Filmed primarily at the current Republic Bar in the Osu-RE section of Accra. Starring Yaa Opare as the love interest woman/Mami Wata. Directed by Blitz himself along with cinematography assistance from Stanley Adjetey of Take Two Films. NOTE: This is Blitz's first video offering through his own official VEVO account. The music is expressed in this video is exactly a summation of what has taken Blitz The Ambassador around the world. Hip Hop scratches, lyrical delivery, snappy snares, rumbling basslines but also the brass and woodwind horns, percussive teases and Highlife guitar licks/bass strums from yesteryear. 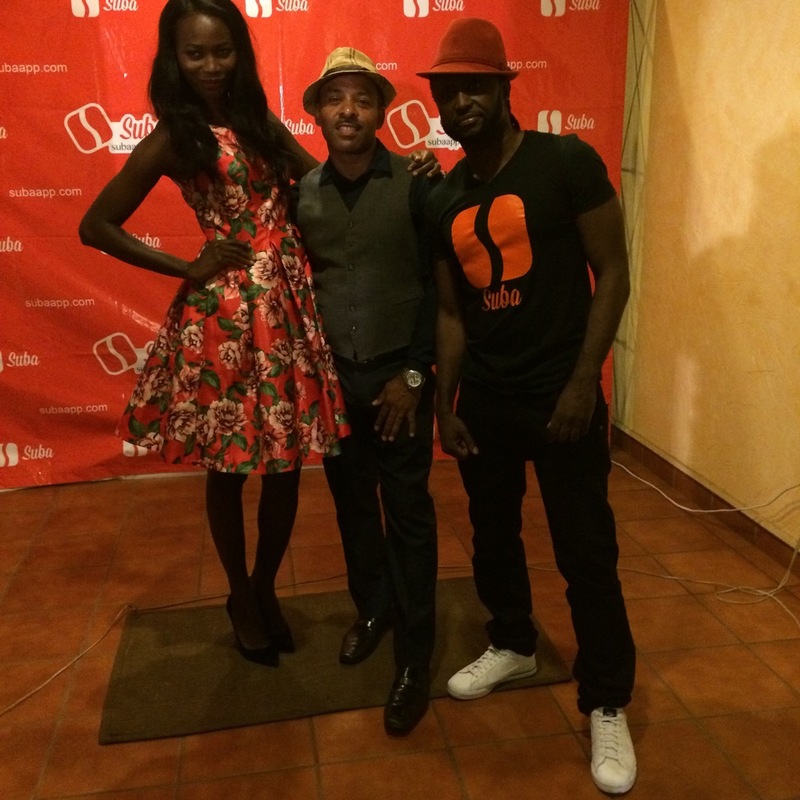 Video - VVIP dishes out 4 video singles. 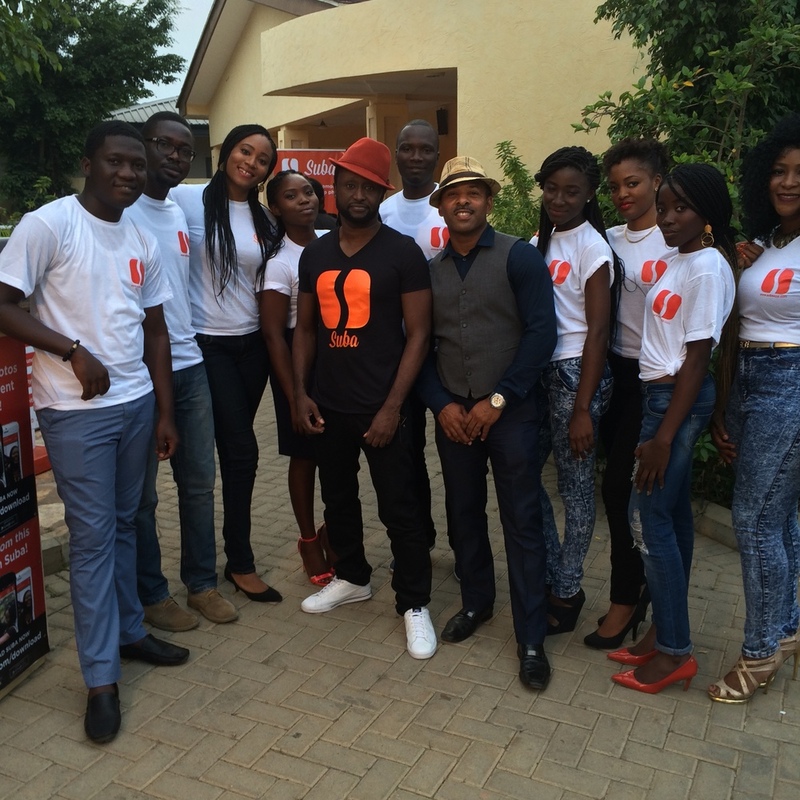 Super GHanaian group VVIP (based in Accra) release four music video singles at one time. Directed by Idris Elba directed his part in Accra & London, Reggie directed this part in Accra; Phyno directed his part in Lagos and Prodigal & Zeal directed their part in Amsterdam. All edited by Lex MacCarthy of Ghana.